Women liked their jobs. They didn’t want to be at home with kids all day, they wanted to be making their own money. This caused women to go crazy. It was a plan that the US wanted to invade Iraq. As they invaded Iraq, people in America asked if this wasn’t a pointless war, like Vietnam. 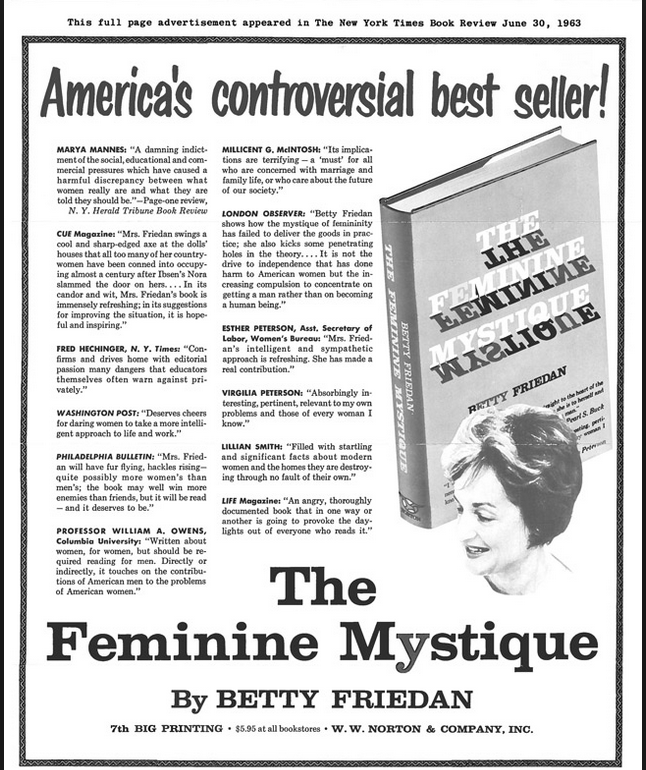 Women hated the way they were living and hated themselves but they couldn’t tell anyone. 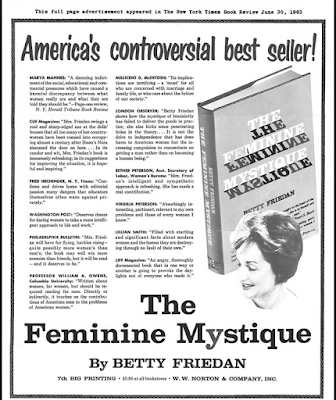 Betty Friedan described where a woman’s place was. A phrase used against people in the US. President Reagan said this. The problem that has no name is the fact that we don’t know why we are in Afghanistan. This has led to us being in Afghanistan for decades.